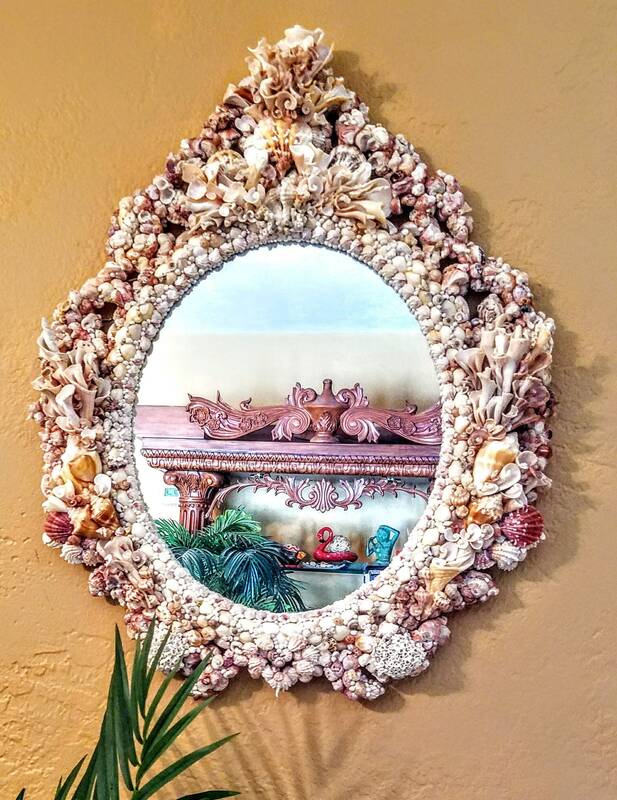 Presenting "After The Storm"; a large, baroque, 3 dimensional, 3 sided, exquisitely appointed seashell statement mirror. 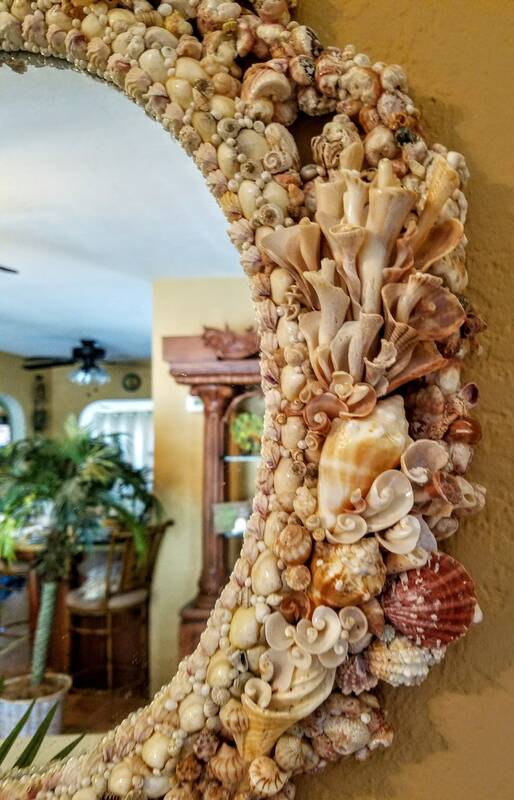 "After The Storm" began in the wake of Hurricane Irma. It tells a story of recovery, healing, unity and strength that come together in a masterful form of art. 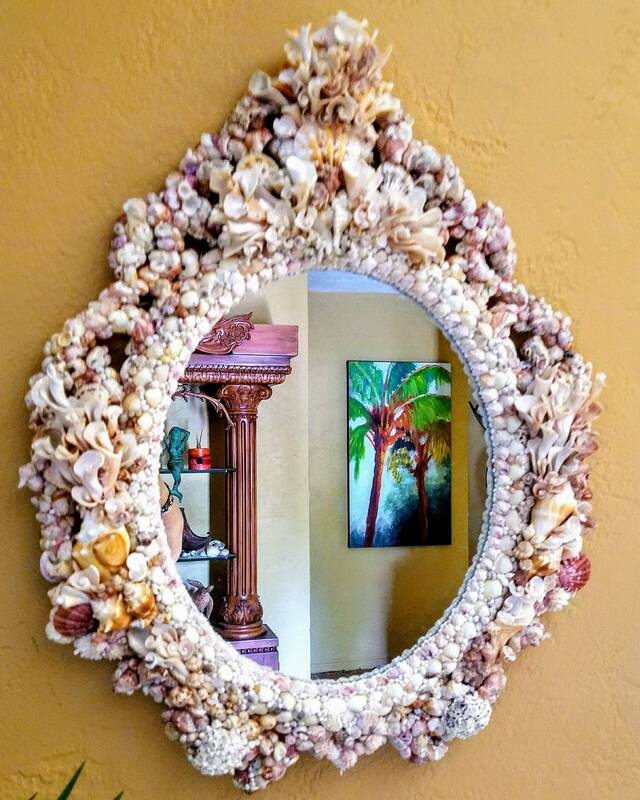 One would expect a creation inspired by a devasting hurricane, to reflect chaos, fear, and haphazard negativity. Quite the opposite. "After The Storm" evolved into all things calming, recovery and the essence of human decency. 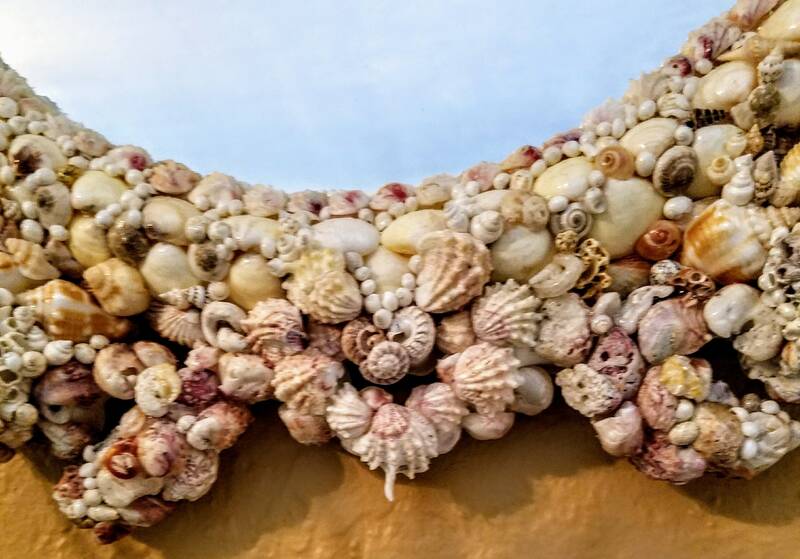 It's lovely, gentle ivory tones of the soothing Escalloped Jewel Boxes, Whelks, Murex and Conch encrust all 3 sides of the piece; like good architecture, pleasing to the eye from every angle. 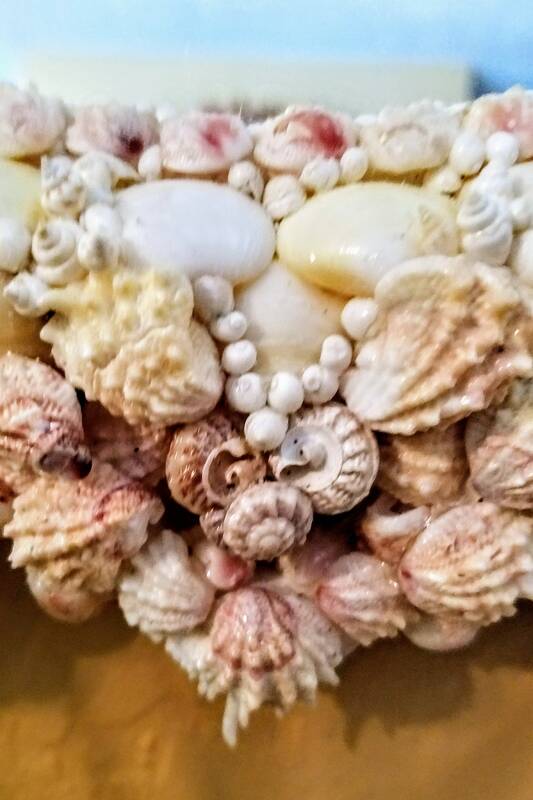 The simple color palette of hand selected seashells from my private, island beach, symbolize the beauty of simplicity. 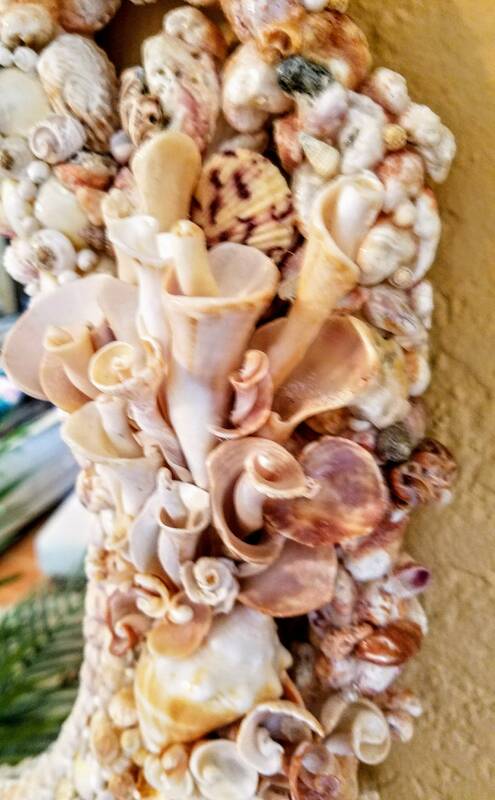 The towering seashell bouquets of buds and stems, represent arms reaching high in the sky in joyous thanks and appreciation for the brave linemen who worked tirelessly to restore power. 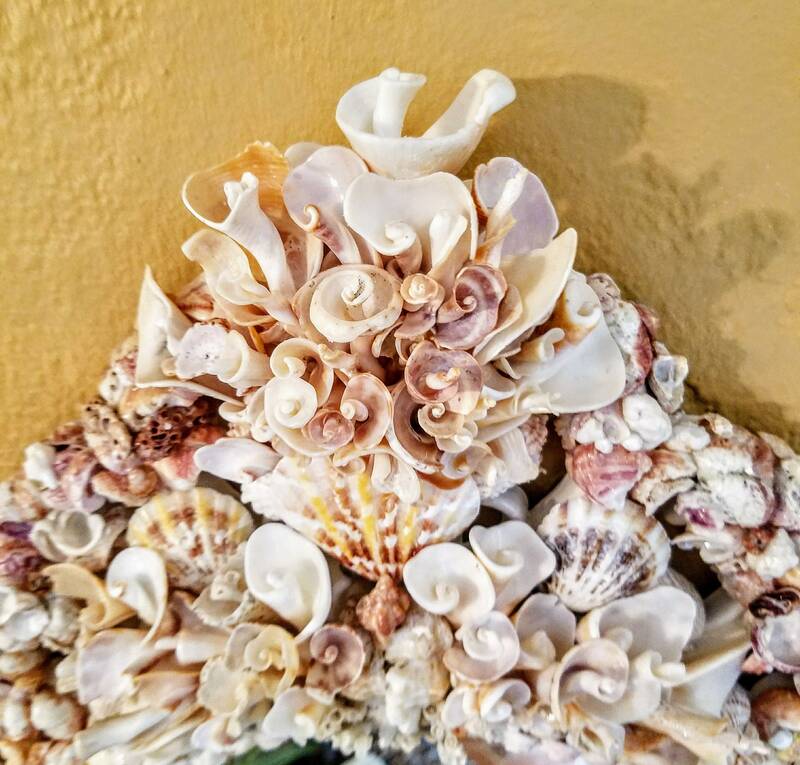 The brilliant clustering of seashells depict an exhausted community of people of all ages and demographics, reinvigorated with gratitude. Once strangers now sharing a permanent bond as beautiful to witness as the fruits of their efforts. Weathered and worn from the storm, emerging shining and gleaming into something more beautiful than ever before. "After The Storm" is a masterpiece to the eye and a reflection of the dynamic, human spirit. 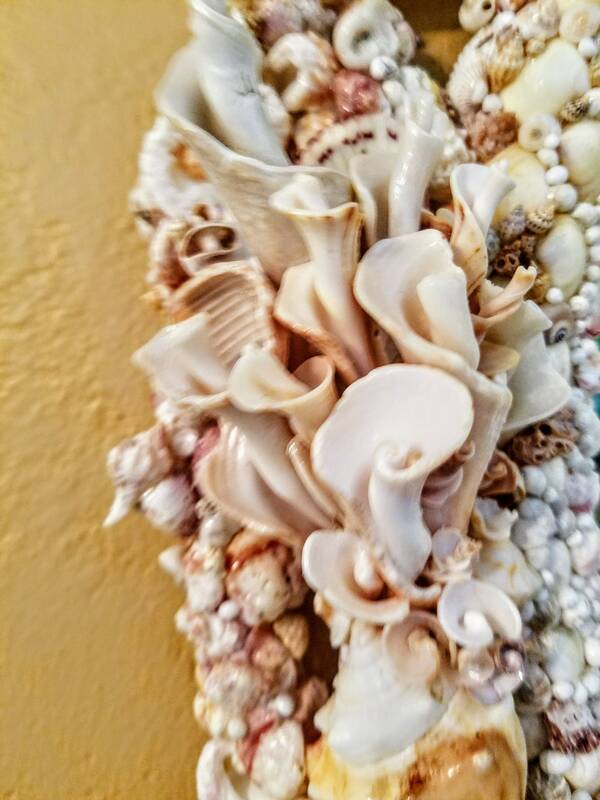 A brilliant addition to my Estate Series Collection it is a mesermizing work of art that will exude beauty and serenity until the end of time. 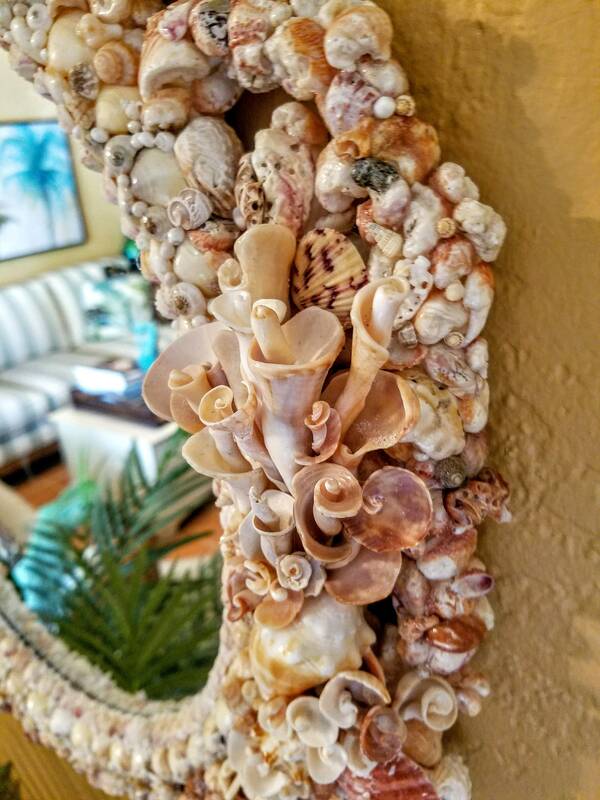 Befitting in a grand foyer of an oceanside compound, to the most grandiose, well appointed yacth to the classic, Key West beach house, "After The Storm" will become a statement stunner. "After The Storm" is professionally wired for hanging, includes a high quality dust brush and shipping charges will be refunded upon purchase as a gratuity. 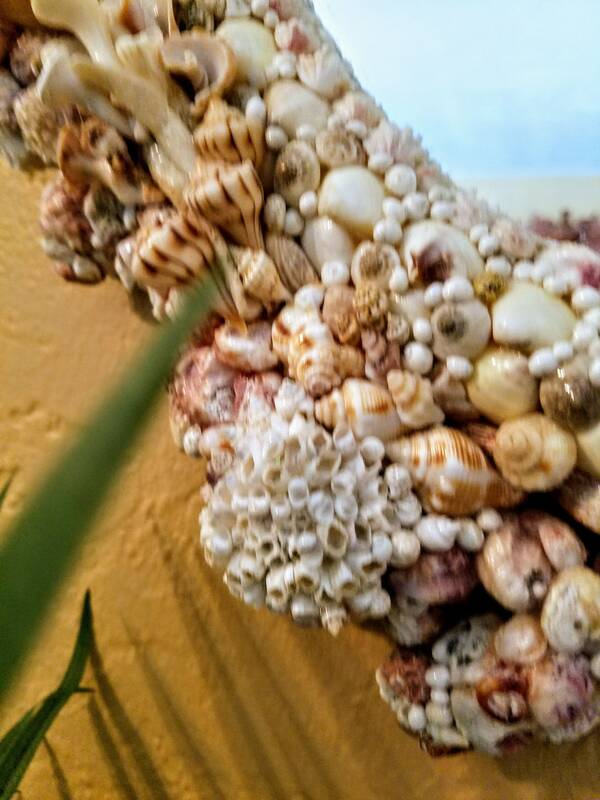 It is signed by the artist and is available for immediate purchase.